Within Norway’s vibrant and thriving experimental music scene, thirty-six year old guitarist and composer Kim Myhr is one of the leading lights, and has spent much of the past two decades writing, recording and touring the world. The multitalented musician has come a long way since his early days in Trondheim, Norway, where his career began. Nowadays, the name Kim Myhr means different things to different people. Some people know Kim Myhr as a composer, who has written for chamber ensembles, electroacoustic settings and a variety theatrical projects. Some music lovers know Kim Myhr for the various high-profile projects that he has been involved with over the last thirteen years. However, many record and CD buyers know Kim Myhr for his first two solo albums, 2014s All Your Limbs Singing and 2016s Bloom. Recently, though, two became three when Kim Myhr released his much-anticipated third album You | Me on Hubro Music on January the ’12th’ 2018. It’s another album of ambitious music from a true musical pioneer who pushes boundaries to their limit in search of sonic perfection. That has been the case throughout his recording career. The first time that many music fans heard of Kim Myhr was when he collaborated with Nils Ostendorf, Philippe Lauzier, Martin Taxt and Toma Gouband on the improv album Spin Ensemble, which was released in 2005. This was the first high-profile collaboration that Kim Myhr had been involved with, but certainly it wouldn’t be his last. Three years later, on the ‘23rd’ of June 2008, Kim Myhr made his way to the at Hotel2tango, in Montréal, where he was about to record a live album with trio of Canadian musicians. This included saxophonist and clarinettist Philippe Lauzier who was joined by DJ and improviser Martin Tétreault and violist Pierre-Yves Martel. 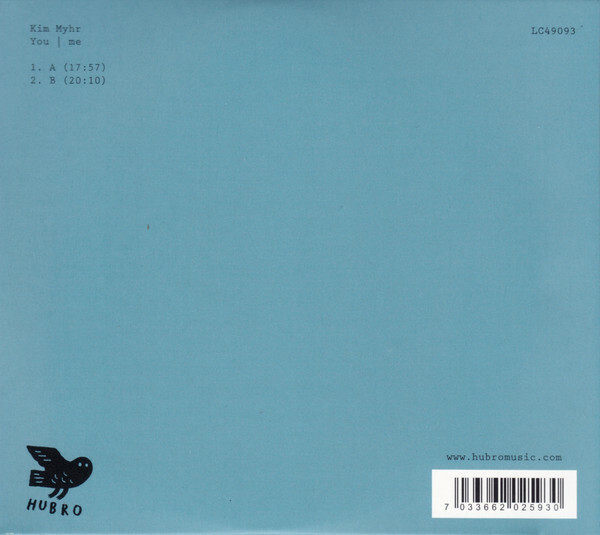 The resulting album Disparation De L’Usine Éphémère, was released later in 2008 and hailed as an ambitious and innovative album that combined avant-garde, experimental and improv. This was another taste of what was to come from Kim Myhr. Next stop for Kim Myhr was Sydney, Australia, where he was about to record an album with Jim Denley an improv musician who incorporated wind instruments and electronics into his music. This was the case on Systems Realignment, which Jim Denley and Kim Myhr released in 2009. It was an ambitious album of inventive and innovative music from Jim Denley and Kim Myhr who would renew their acquaintance the following year. Just two months after Mural released their debut album, the Trondheim Jazz Orchestra and Kim Myhr released their critically acclaimed collaboration Stems and Cages during April 2010. This was the first of two collaborations between the Trondheim Jazz Orchestra and Kim Myhr. Later in 2010, Jim Denley and Kim Myhr released Live In Munich, which was the followup to Systems Realignment. The pair also featured on their collaboration with Philippe Lauzier, Pierre-Yves Martel and Eric Normand, Transition De Phase. Both albums of improv found favour with critics, and rounded off what had been the busiest year of Kim Myhr’s career. 2011 started off with the released The New Songs’ debut album A Nest At The Junction Of Paths in February. It featured Kim Myhr on guitar and zither on a captivating album that fused avant-garde, jazz and pop. However, just a month later Kim Myhr was recording another album. On the ‘4th’ of March 2011 Mural headed to the Rothko Chapel, Houston, Texas to record what would become their sophomore album.This was Live At The Rothko Chapel, which featured one epic fifty-two-minute soundscape Doom And Promise. Live At The Rothko Chapel was released later in 2011. By then, Live At Ringve Museum Trondheim 2011 had been released, which was a collaboration between a quartet that featured four of the top European improv artists. Kim Myhr had led a quartet that featured Burkhard Beins, Kari Rønnekleiv and Nils Ostendor during a concert that had been recorded in his home city on the ‘8th’ of May 2011. This was a proud day for Kim Myhr whose star was in the ascendancy. As 2012 dawned, Kim Myhr was preparing for the release of The Unknown Knowns, which was the debut album by his latest improv project Muringa. Kim Myhr was joined by drummer and percussionist Tor Haugerud, saxophonist and clarinetist Klaus Ellerhusen Holm and tubaist Martin Taxt. They had recorded Muringa’s debut album during two days in June and November 2010. Fifteen months later, The Unknown Knowns was released in March 2012 was well received by critics. However, there was still one thing Kim Myhr had yet to do, release a solo album. This changed in March 2014, when somewhat belatedly, Kim Myhr released his critically acclaimed debut album All Your Limbs Singing. It had been recorded over two days in August 2013 in Berlin, Germany and showcased a truly talented, imaginative and innovative musician. Just a few months later, Mural returned with their third album Tempera in June 2014. This was their first album since 2011, and their first studio album since Nectars Of Emergence in 2010. Fifteen month later, Mural returned with a three CD set Tempo which had been recorded on April the ‘27th’ 2013 at the Rothko Chapel, in Houston, Texas. It was an ambitious, sprawling album that lasted nearly three hours, but sadly, Mural haven’t returned with a followup. Maybe that is because Kim Myhr has been concentrating on other projects? This included Kim Myhr’s new collaboration with the Trondheim Jazz Orchestra, and one of Norway’s top singer-songwriters Jenny Hval. They collaborated on In The End His Voice Will Be The Sound Of Paper which was credited to Trondheim Jazz Orchestra, Kim Myhr and Jenny Hval and released by Hubro Music in July 2016. Critical acclaim accompanied In The End His Voice Will Be The Sound Of Paper which was hailed as one of the best albums to come out of Norway during 2016. Considering how strong the Norwegian music scene was, this high praise indeed. Just a couple of weeks after the release of In The End His Voice Will Be The Sound Of Paper, Circadia a new multinational improv band that Kim Myhr was a member of, released their debut album Advances And Delays in late July. Advances And Delays was a live album that had been recorded at Fylkingen, Stockholm, on June the ‘26th’ 2014 and showcased the combined talents of a group that featured some top improv musicians. It was just the latest project that Kim Myhr was involved in during 2016. In October 2016, Kim Myhr returned with his much-anticipated sophomore album Bloom, which was released by Hubro Music. Bloom certainly didn’t disappoint and surpassed the quality of his debut album All Your Limbs Singing. However, Kim Myhr would release one more album during 2016. AJMiLIVE #13 was the debut album from The New Songs, an all-star improv band that Kim Myhr was a member of. They had recorded the tracks that became AJMiLIVE #13 in November 2014. Two years later, and The New Songs’ debut album AJMiLIVE #13 was released in November 2016 and found favour with critics. This rounded off the busiest year of Kim Myhr’s career so far. As 2017 dawned, Ingar Zach and Kim Myhr were the latest artists to feature on the long-running Nonfigurativ Musikk series. Nonfigurativ Musikk #22 was a split album, with each artist showcasing their skills on one side of this limited edition cassette. However, only thirty copies were released and for many fans of Kim Myhr this is the holy grail. The following month, February 2017, Kim Myhr and Lasse Marhaug released their first collaboration On The Silver Globe. It was released to plaudits and praise and was the latest addition to Kim Myhr’s burgeoning back-catalogue. However, by then Kim Myhr had began recording his third solo album You | Me. Just three months after Kim Myhr had released Bloom in October 2016, he began recording his third album You | Me at the Sound Office, in Oslo, during January 2017. That would be home for Kim Myhr for the next five months. At the Sound Office, Kim Myhr took charge of production, and began laying down layers of acoustic and electric guitars, and a myriad of electronics on the two lengthy soundscapes, which became A and B. Joining Kim Myhr was Norwegian drummer Hans Hulbækmo of Atomic, Moskus and Broen, who added hand percussion to the two sprawling soundscapes which eventually lasted eighteen and twenty minutes respectively. These were no ordinary soundscapes, and later, would take on a cinematic, oceanic sound, as a myriad of subtleties, surprises and nuances unfold during these glistening, shimmering and shifting soundscapes. Sometimes, they become hypnotic and ruminative, but for much of the time the music is immersive as washes of music ebb and flow and sometimes, sound like the tide breaking on a deserted beach. However, this was still to come once the album was completed. Once Kim Myhr and Hans Hulbækmo had laid down their parts for You | Me, it was time for the other two guest musicians to record their parts. There was only one problem, and that was neither musician was going to record their parts at the Sound Office in Oslo. Instead, Ingar Zach of Huntsville and Dans les Arbres decided to record his percussion parts in Madrid during May 2017. Meanwhile, Tony Buck’s drums and percussion were recorded in Berlin May 2017. Once these parts were completed, Johnny Skalleberg mixed You | Me, before it was mastered by Marcus Schmickler. This left just an album cover for You | Me. That was all taken care of, as Kim Myhr had imagined the album cover before he had recorded You | Me. In Tebbe Schöningh’s photograph, he found the perfect accompaniment to the cinematic and oceanic soundscapes on You | Me. A opens You | Me, with chirping and shimmering guitars combining with a bell, electronics, drums and found sounds. Already, the soundscape is rich in detail as an array of sounds flit in and out of the arrangement. They’re variously dreamy, futuristic and lysergic to dark and dramatic as buzzes, bells and crackles join the urgent guitar and drums as the genre-melting arrangement almost gallops along, paining pictures in the mind’s eye. Always though, Kim Myhr’s guitars at the heart of the arrangement, as spluttering, futuristic, otherworldly sounds join with whoops and rumbling drums. By then, the music us mesmeric, blissful and almost spiritual, before becoming urgent and dramatic as the guitar powers the arrangement along. The listener is left to ride this wave of glorious music as a cacophony of disparate sounds are disgorged but make perfect musical sense. Quite simply, it’s impossible to resist the charms of A as it carries the listener along before reaching a crescendo. For the last three-minutes, the arrangement dissipates, ebbing and flowing as the deep oceanic water becomes calm. Drums signal for a layers of strummed glistening, shimmering acoustic guitars to enter on B. They create a mesmeric backdrop as they dominate the soundscape. Meanwhile, an electric guitar weaves in and out, but never overpowers the acoustic guitars. Soon, a distant drum is joined by fluttering and rasping sounds before the arrangement becomes spartan. All that remains are the acoustic guitars, subtle drums and metallic percussive sounds. Soon, this changes as a much more laid back so blissful sound is revealed. Guitars are strummed and shimmer and glisten adding a dreamy, lysergic and hypnotic ambient sound. This less is more approach works well and results in a quite beautiful and later, experimental soundscape whose meditative and ruminative sound invites reflection. Gradually, the soundscape changes taking on an eerie cinematic sound, as metallic and found sounds combine to create a mechanical sound. It’s as if the man machine has awakened, and Kim Myhr is now providing the score to a short sci-fi film. It certainly sets the imagination racing, during what has been a magical musical mystery tour that closes You | Me. Just over a year after the release of his sophomore album Bloom, Kim Myhr returns with his much-anticipated third album You | Me, which was released on Hubro Music on January the ’12th’ 2018. You | Me features two carefully crafted and sprawling cinematic soundscapes that are dense, multilayered and rich in detail and imagery. These two soundscapes, A and B, are guaranteed to set the listener’s imagination racing, as scenario’s unfold before their eyes, and they became the director to a movie, which Kim Myhr has supplied the soundtrack to. 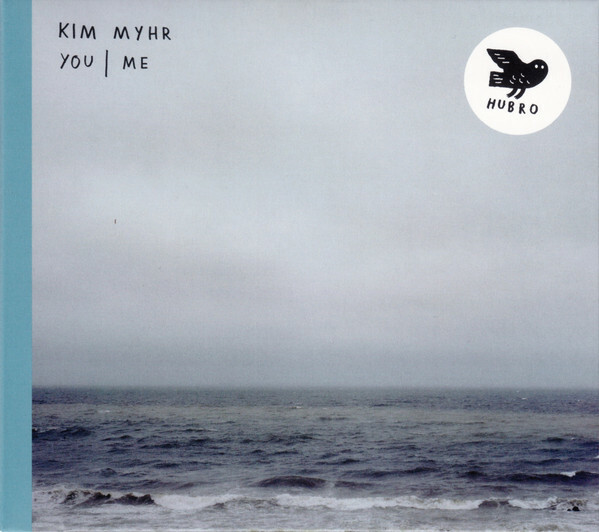 However, Kim Myhr’s two soundscapes on You | Me aren’t just cinematic. They also showcase an oceanic sound with the You | Me, and it’s possible to imagine the tide ebbing and flowing, as waves break on a deserted beach. This sound is immersive as it washes over the listener, as they embrace and enjoy music that is also calming, meditative and ruminative, and encourages reflection. Sometimes, the music takes on a spiritual sound and there’s an intensity and joyousness. There’s also hypnotic and mesmeric sound to the music on You | Me because of the constant rhythmic pulse. Other times, the chameleon like soundscapes continue to shift, shimmer and glisten, before taking on a minimalist sound on Kim Myhr’s genre-melting third album You | Me. On You | Me, Kim Myhr and his tight, talented band combine elements of disparate musical genres, including ambient, avant-garde, electronica, experimental, Hindustani classical music, improv, Musique concrète and psychedelia. They’re combined on You | Me, which sounds as if it had been influenced by a number of musicians including legendary zither player Laraaji, Vinni Reilly’s musical vehicle the Durutti Column and two of Steve Reich’s most important albums, Music For Eighteen Instruments and Music For A Large Ensemble. All of these musical genres and musicians have played their part in influencing Kim Myhr on what’s without the his finest solo album, You | Me, which is a career-defining album from a true musical pioneer whose one of the leading lights of experimental music scene. ← DAVID JOHANSEN-IN STYLE AND HERE COMES THE NIGHT.